For most homeowners, there are plenty of maintenance items to keep up with every year. However, what you might not have realized is the condition of your existing concrete surfaces. Whether they need repairs, replacements, or it’s time for an affordable home upgrade, you require an experienced contractor team. And when you need expert technicians and a broader range of services, there’s only one company you can trust. 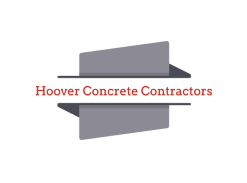 At Hoover Concrete Contractors, we provide a broad range of poured concrete solutions that leave any home appearing its best. More residents throughout the Hoover, Alabama area choose us for better quality completions for any project. 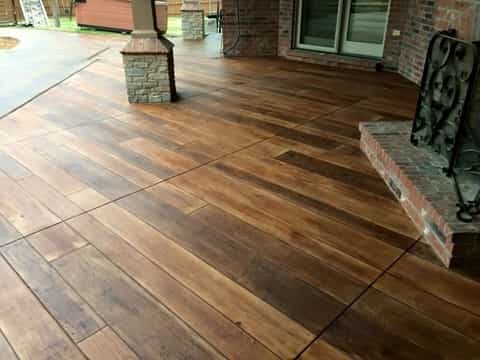 ​From standard driveways and sidewalks to advanced decorative techniques, we can save you more on better services. See why we remain the reliable source for total concrete contractor solutions. Call us today! The typical homeowner becomes amazed at how versatile cement can become. When it’s in the right hands, it can transform into elegant surfaces or rugged pathways. 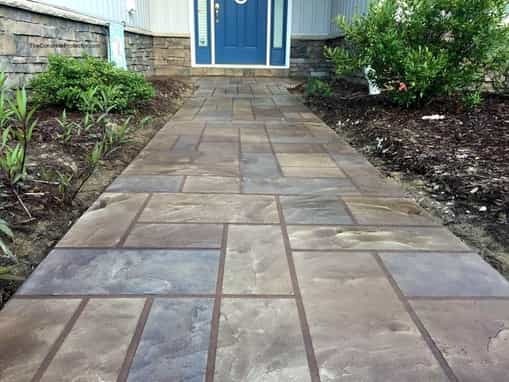 Unfortunately, many service providers only offer quick, flat pours of gray concrete, leaving little to no value in the end. When your needs go beyond functional surfaces, we offer the best decorative concrete options around. Whatever options you need to see in your home, our team is here for you. Contact us today for your best selection of choices at affordable rates. 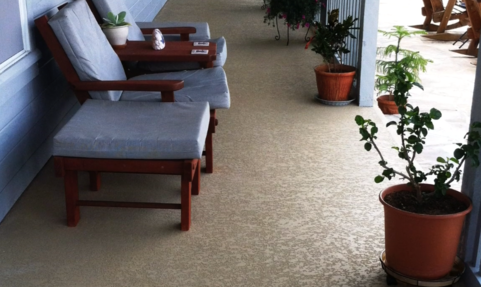 When flat, gray cement isn’t enough, we provide a broad range of decorative solutions to hire. 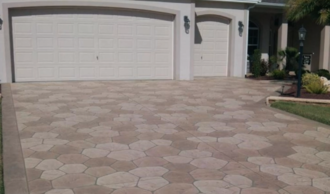 Decorative concrete services remain the ideal way to add lasting value and charm without spending a fortune. 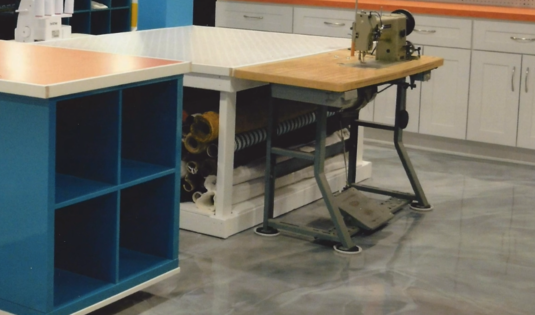 From making your new poured surfaces mimic other materials, to adding colors, patterns, and textures, we offer it all for less. Your concrete systems no longer need to stay dull when we breathe new life into them all. Whether you prefer specific colors and patterns or want to add more elegance t your flat surfaces, you can still rely on us for it all. 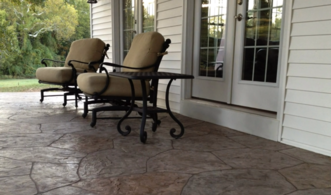 See why more residents turn to us for all their decorative concrete options. 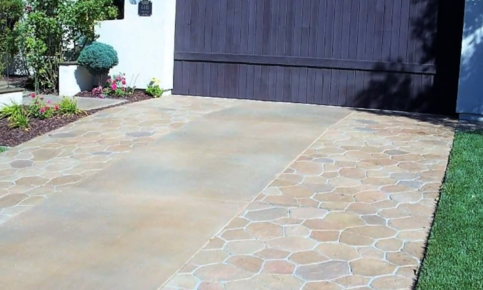 Perhaps you feel tired of your dull gray cement surfaces, but you don’t want the hassle of tearing them out. Instead, you can enjoy decorative overlays and concrete coatings that create stunning appearances. Rather than breaking cement down and replacing it, your overlay product goes directly to the surface. There, we can spread it until it’s razor-thin or several inches thick, determined by your preferences. Your cement coatings don’t just enhance their appearance, but they also help prevent structural concerns from forming. If you need an affordable and straightforward home upgrade, contact us today and save on concrete overlays. 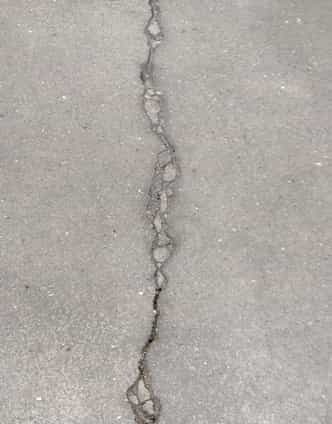 Virtually all concrete systems develop light surface cracks that remain relatively harmless as they don’t reach deep at all. However, over time, your foundation slabs, driveways, and patios develop structural concerns which can’t stay ignored for long. Whether you noticed a severe crack that practically splits concrete in two, or chipping around the edges, they all soon create concerns. Once the foundation of any cement areas wears away, your only option is a complete replacement. Before your cement spaces give way to structural issues, we can help restore them all. Before you replace your poured concrete surfaces, contact Hoover Concrete Contractors for better repair services. Poured concrete remains a durable and affordable building material, but even it has its limitations. Sooner or later, every cement surface needs to get replaced with a brand-new one. While some concrete systems can last as long as a couple of decades, the elements can quickly cause concerns. 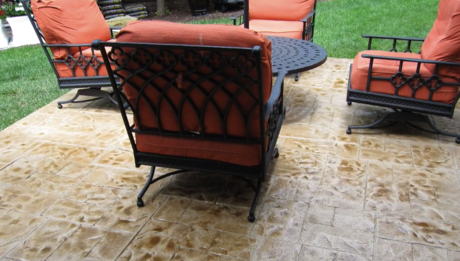 Water evaporation, unexpected cold snaps, and direct impacts can leave cement surfaces in ruin. Whatever items have worn out or what got broken over the weekend, you can count on us for better replacements. Wherever you have concrete that needs to go, we provide the best results on every job. ​Each year, residents spend tens of thousands of dollars on home improvements and upgrades that only seem to waste money. Whether these updated items help to liven up your residence, they don’t perform as well as you had hoped. Solar panels still cost a fortune to install, and you won’t break even for years down the road. And while renovating a bathroom seems like a wise decision, it can quickly see its cost spiral out of control. 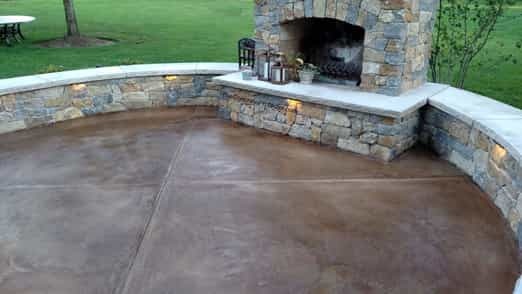 Not only do professional concrete services prolong your surface’s useable life, but they add lasting value as well. When you include colors, patterns, textures, and style to otherwise dull areas, it separates your place from everyone else in the neighborhood. Best of all, repairs, replacement, and improvements remain among the most cost-effective services. If you need a straightforward way to keep your house looking youthful, you need our team today. WHEN TO REPAIR, AND WHEN TO REPLACE? Some people seem to agonize for days about whether they should repair their concrete surfaces, and when they need a replacement. It doesn’t help that some contractors may have different opinions, making their confusion worse. Under optimal conditions, a poured concrete surface should withstand at least 15 years of daily use. If a driveway is a decade or younger with no significant damage, you can likely keep repairing it for a while. However, if an area is riddled with cracks, gaps, and is older than ten years, it may need a complete replacement. While light superficial cracking remains expected, more than a third of the surface area causes concern. If a poured concrete space has lost its structural integrity, it must get partially or wholly replaced. Otherwise, a skilled contractor team such as ours can help save you more on maintenance services. WHY HIRE HOOVER CONCRETE CONTRACTORS? We understand that concrete repairs remain a common trade service to need, so why hire our staff first? 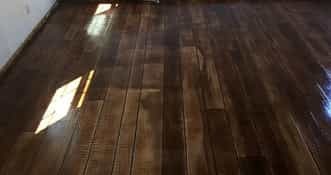 Whether it’s our affordable rates, expert level of skill, or our best results for more surfaces, there are plenty of reasons why. While most cement services providers offer little more than a quickly poured gray surface, we enhance and improve your concrete systems. We provide more decorative solutions and maintenance options that keep your areas at their best for longer. From outdoor entertainment spaces and pool decks to traditional driveways and sidewalks, we handle them all for less every day. Allow us to install a durable system that lasts or improve your existing surfaces with experienced contractors now. If you need more than the usual cement services experience, then contact us today for all the options you need to see. No one knows their way around more forms of repairs and maintenance services quite like us. Not all concrete contractor companies remain equal, and we guarantee better results each time. Whether you need affordable home upgrades, decorative solutions, or expert quality repairs, you need our team today. Our staff remains the trusted name in local concrete service providers, offering better maintenance options to more area residents. When you need the best in poured cement solutions, you need Hoover Concrete Contractors.